One of the largest water tanks at 51m x 20m x 11m it can hold 10 million litres of water. It is highlight of the shopping mall with millions of visitors enjoying the world's largest viewing panel of 32.8m wide and 8.3m high. The aquarium's 270-degree acrylic walkthrough tunnel provides visitors an exciting opportunity to get up close with more than 33,000 living animals to enjoy a fascinating experience. Visitors can also go for a glass-bottom boat ride to enjoy unique views below their feet and for the adventure hungry visitors, a shark dive will be an exhilarating experience to swim closely with the sharks! 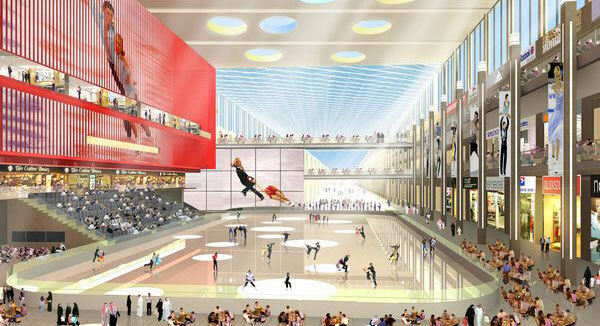 For those who always dreamt to ice skate in an Olympic size skating rink, here is your chance! Dubai Mall's Ice Rink provides world class facilities and is a spectacular venue to unwind after a tiring day of shopping. This is the world's largest dancing water fountain. Located on the 30 acre Burj Khalifa Lake, the Dubai fountain is a magical attraction that has water jets shooting as high as 150 metres equivalent to that of a 50 storey high building. The water fountain is 275 metres long and has been designed by California based WET who are the same creators of the fountains of Bellagio in Las Vegas. I was in awed by the beautiful water performance accompanied by performance repertoire including the signature piece by Andrea Bocelli - Con te partiro (time to say goodbye). Daily performances are available from 6-11pm at every 30 minutes interval. 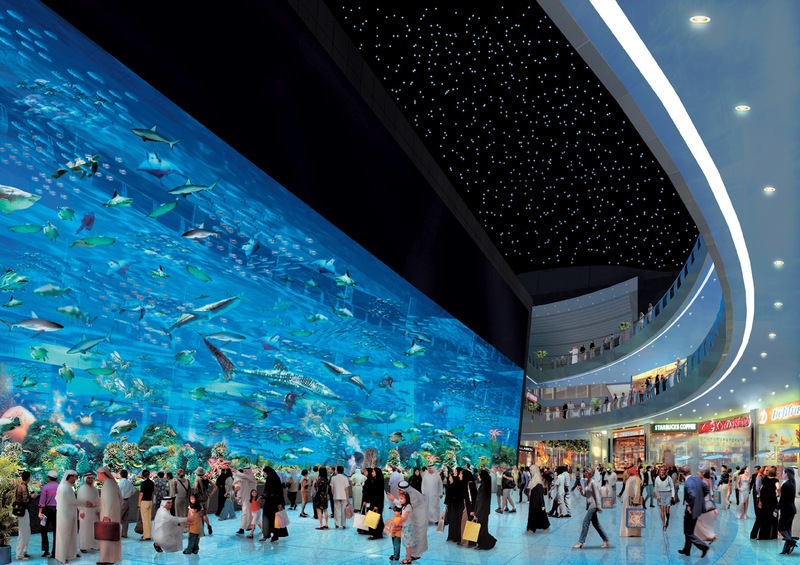 Enjoy the convience during shopping in UAE, one of the best place in world. for this purpose. You can also enjoy tasty foods in dubai during tour. Such a nice post. I really happy to visit and also happy to read this topic. It is very interesting post for me. Such a great work. I also suggest this blog all my friends.